Easter Break: European Bourse Bullish! ISLAMABAD: A case has been lodged against PPP workers and Senator Mustafa Nawaz Khokhar for attacking police personnel and causing a disturbance here some . 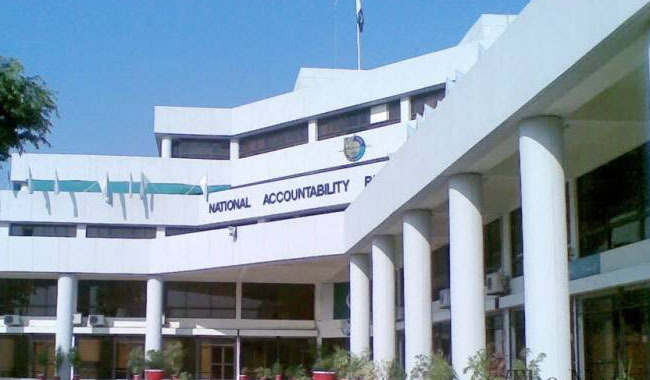 The case was lodged at the Secretariat police station a day after PPP workers gathered when PPP leaders Bilawal Bhutto Zardari and Asif Ali Zardari appeared before NAB at the bureau’s Islamabad office on March 20. They clashed with the police and attempted to enter NAB’s building. Twenty workers are in custody and 50 others have been declared absconders. They have been charged under sections 109 (abetment), 341 (wrongful restraint), 188 (disobedience to public order), 149 (collective punishment for an unlawful assembly), 147 (rioting), 353 (assault on a public official to deter him from his duty) and 186 (obstructing a public servant from discharging their duties) of the Pakistan Penal Code. They gathered at the NADRA Chowk and pushed their way to the NAB office gate. Nine police officers and a journalist were injured in the clash. Five mosques vandalized in Birmingham! KARACHI: An anti-terrorism court here has directed the Counter-terrorism Department (CTD) of Sindh police to arrest three absconding accused in the Ali Raza Abidi murder case and present them before it on next hearing. In a major headway, CTD investigators have identified the suspect who fired shots at the Muttahida Qaumi Movement – Pakistan (MQM-P) leader, according to a progress report submitted to the court. Suspect Bilal, one of the three absconding accused, shot at Ali Raza Abidi, said CTD, adding the absconders will be arrested soon. Meanwhile, the court issued non-bailable warrants for the arrest of the accused and directed CTD to nab and present them before it on the next hearing. ISLAMABAD: An accountability court here handed over Iqbal Khan Noori, one of the key suspects in the fake bank accounts case, to the National Accountability Bureau (NAB) on 14-day physical remand for questioning. NAB officials produced Noori before the accountability judge and sought his physical remand for interrogation. The court remanded the accused in the bureau’s custody for 14 days and adjourned the hearing until May 2. Meanwhile, the judge granted a plea of the suspect’s family seeking permission to meet him. Noori, director of M/s Rubicon owned by Younas Kudwai – front man of Asif Ali Zardari, CEO of M/s Park Lane – is among the 30 accused named in the case. MAKRAN: Terrorists offloaded passengers from a bus on Coastal Highway near Ormara here today and shot at least 14 of them. According to sources privy to NPTV some 20 unidentified gunmen (wearing FC uniforms) stopped passenger buses plying from Karachi towards Gawadar. At 1am they offloaded sixteen passengers from a bus carrying over 36 passengers in Buzi Top area and killed forteen of them at close range after identifying the victims by means of their NICs. Prime Minister Imran Khan condemning the act of terrorism sought report into the incident. He has ordered the concerned authorities to identify the culprits and book them under Anti-Terrorism Law. Chief Minister Balochistan Jam Kamal stated that such acts were on the agenda of anti-state elements as they wanted Balochistan to remain backward region sans any development: “Progress will continue no matter what”, he held. “These cowardly terrorists showed the extent of their barbarism by murdering innocent passengers,” the CM maintained. “The people of Balochistan look upon terrorists who follow the agenda of foreign elements with hate. Through the support of the people, terrorism will be eliminated and the terrorists will continue to be brought to justice,” Jam Kamal stated. Information Minister Ch. Fawad Hussain took to the Twitter saying all the perpetrators involved in recent attacks in the country would be apprehended and brought to justice. Leader of the Oppositionof PML-N’s Shehbaz Sharif and PPP-P Co-Chairman Asif Ali Zardari have also strongly condemned the killings. PPP-P Chairman Bilawal Bhutto Zardari held that PTI Govt. had failed in containing terrorism.